Since my review of the Pierre Herme original recipe showed that he used canned lychees and rose syrup (rather than fresh lychees or rose water), I bought both to use in my first try at the Ispahan. Then (and maybe this is a backward way of doing things) I searched online for panna cotta recipes that used those two ingredients, so I could be sure that things would work properly in both recipes without my having to buy two sets of ingredients. 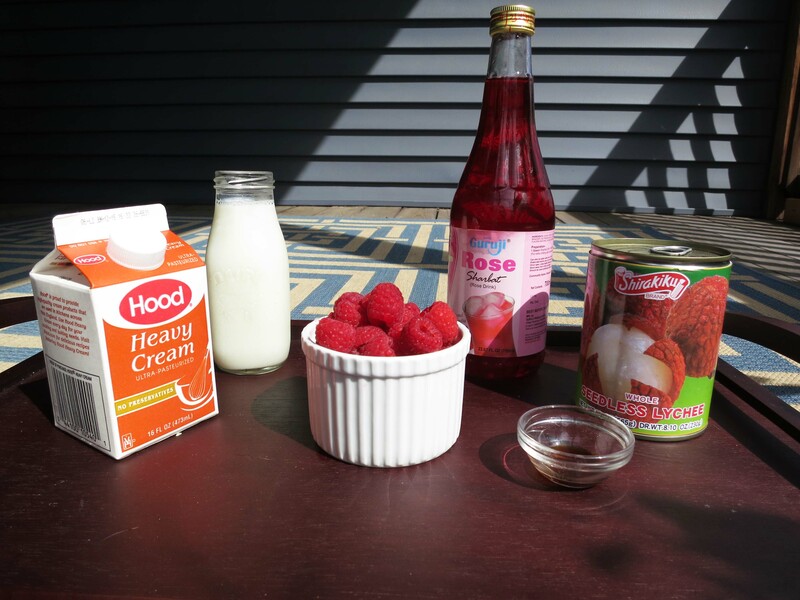 The dessert consists of a vanilla-rose panna cotta, poured over lychees and fresh raspberries, and topped with a drizzle of rose syrup. 2. 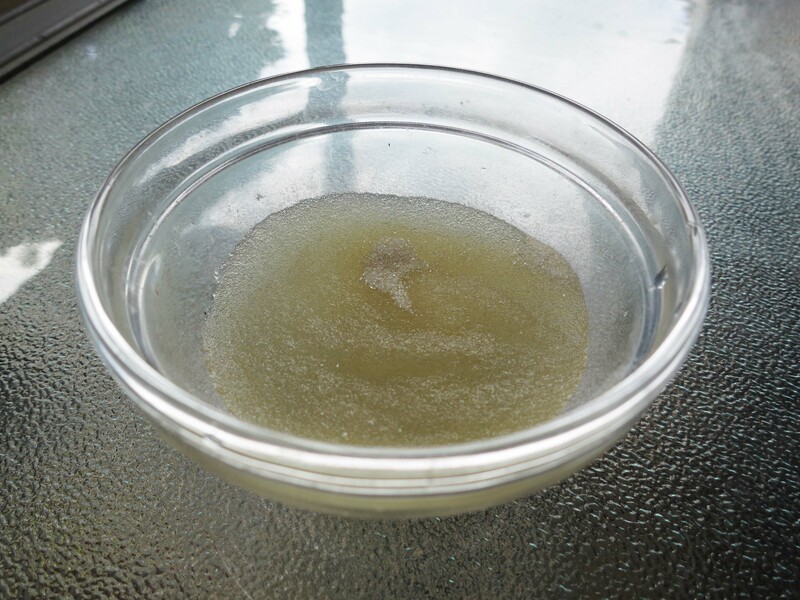 Sprinkle the gelatin over the water in a small bowl and let sit for 5 minutes. 3. 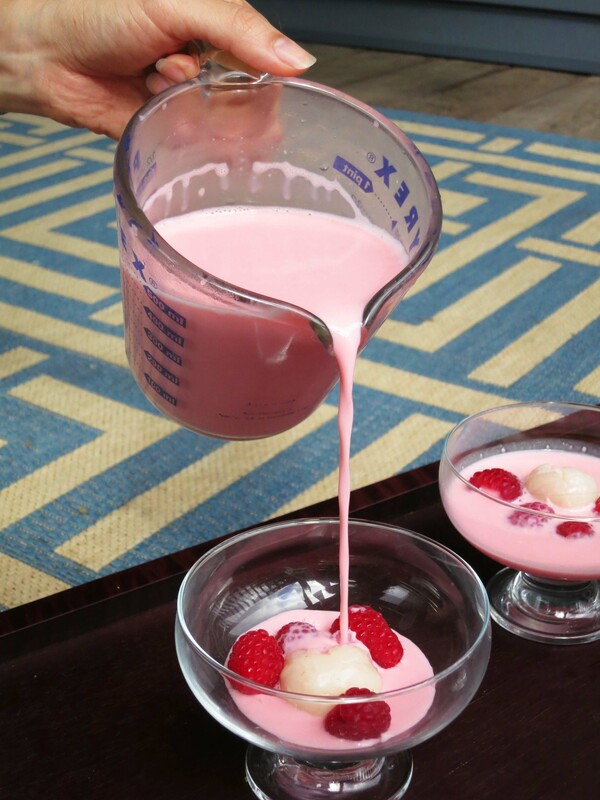 Stir the bloomed gelatin, sugar, and rose syrup into the cream mixture until the gelatin is fully melted. Let the mixture sit for at least another 10-15 minutes at room temperature before giving it a final stir and moving on to the next step. This is important– if the mixture is too hot when you pour, it’ll separate as it cools. You’re looking for it to be lukewarm, not hot. 4. 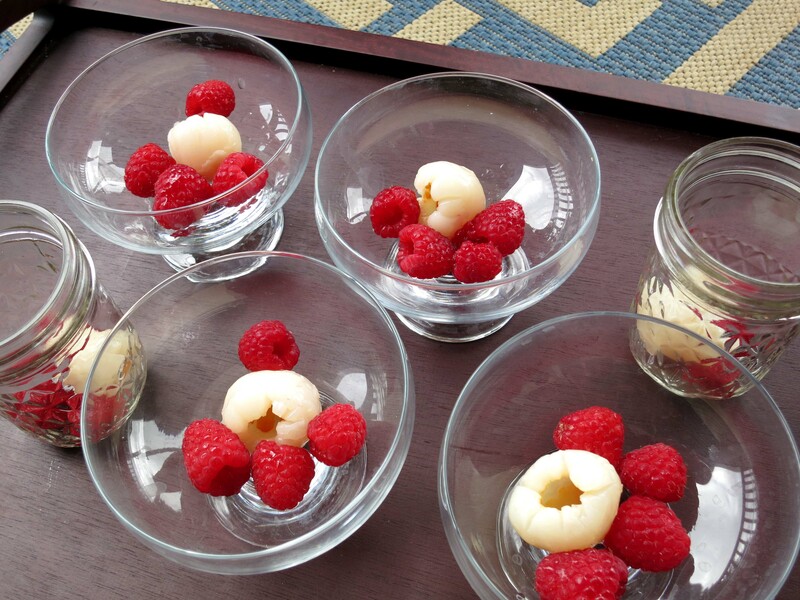 Place a lychee and a few raspberries into each serving dish. Pour cream mixture over the fruit until almost covered. Refrigerate until firm. 5. 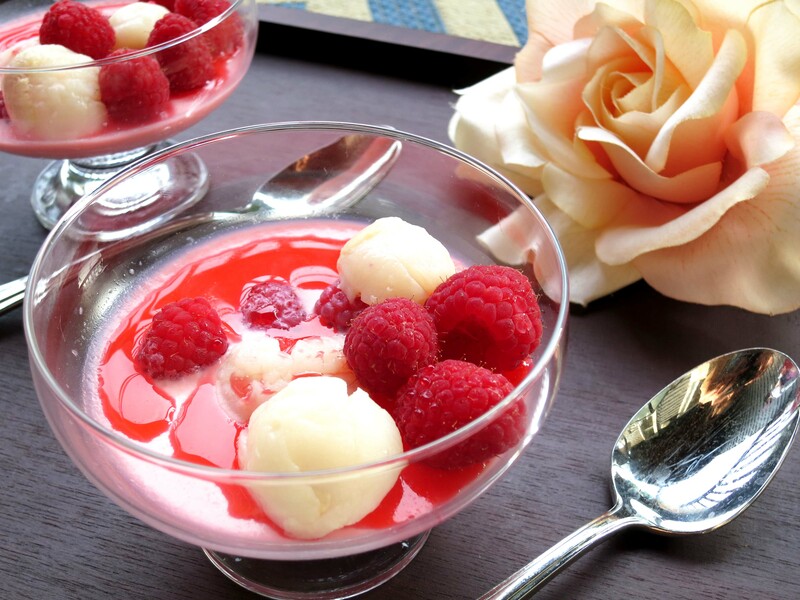 Before serving, drizzle a little rose syrup over the panna cotta and garnish with more raspberries and lychees as desired. Also, I missed the macaron aspect of the dessert. The macaron shell really brings something extra to the whole experience– without it the panna cotta and fruit all seem to mush together in one big pudding-y bite. And I realize that’s part and parcel of panna cotta as a dessert, but even adding a thin crispy wafer cookie didn’t really make up for the lack of macaron. Even Pierre Herme adds a macaron shell to his “Emotion Ispahan” (a verrine of white chocolate/rose mousse with raspberry and lychee gelees), presumably for this very reason. But if I’m going to be making macarons already I may as well make the original, no? Anyway, it was worth trying, and like I said I’ll keep this in my recipe box for when I need to impress someone on relatively short notice. But it can’t replace the original Ispahan. * Edited to add: I just realized that in making the panna cotta I inadvertently left out the 3 tablespoons of sugar that were supposed to be stirred in along with the rose syrup. It’s entirely possible that the extra sugar would have changed the sweetness level pretty significantly, so I’ll reserve judgment on whether the dessert is actually sweet enough for my tastes. That being said, if you’re not really into sweet desserts feel free to omit the extra sugar in this one, because it’s perfectly good without it, just not quite the same as my personal preference. I’ve never made panna cotta but I’m very tempted by this one! Yum! And so pretty… good old Ispahan strikes again. 🙂 It’s possible I haven’t made panna cotta before because I would feel it’s a bit light, like you did. I wonder if it would be nice to serve it with a mini Ispahan macaron, financier or madeleines… ? I think macarons would work best– a financier or madeleine might weigh down the creamy panna cotta.